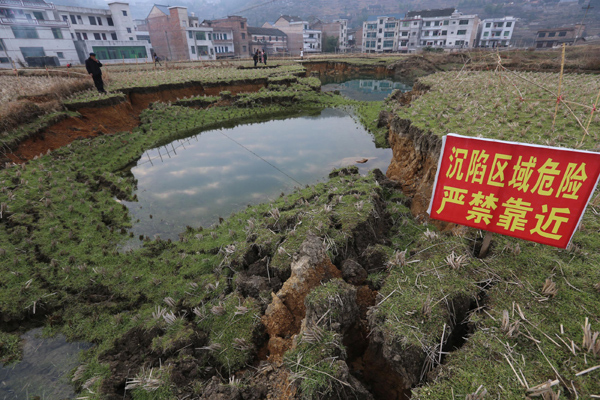 Lianyuan, a small town in the province of Hunan, China is being swallowed by giant sinkholes and earth cracks. 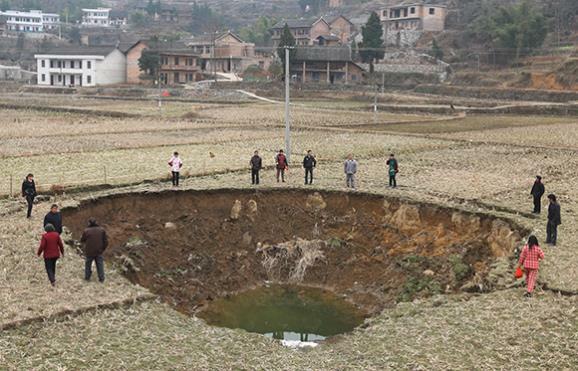 They have destroyed five wells, infected the irrigation of of 33.3 hectares of farmland and cut off water supplies to nearly 4,000 villagers, leaving residents in distress. 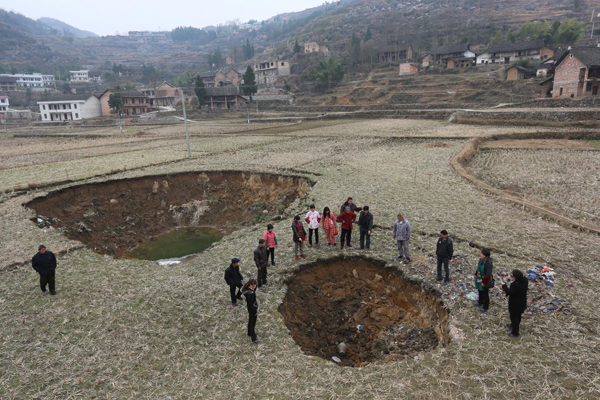 Since September 2012, the city of Lianyuan is being plagued by giant sinkholes. 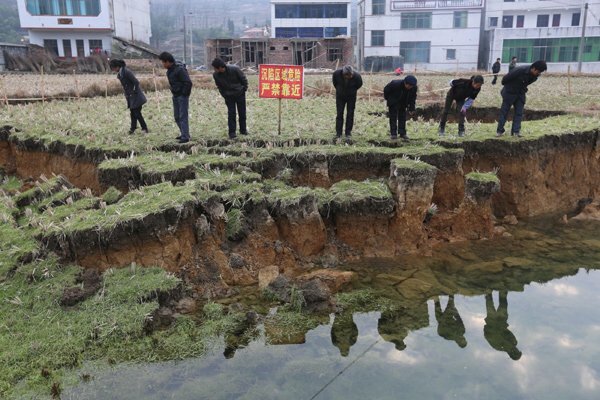 These earth cracks dry up rivers thus creating watershortage for the residents. 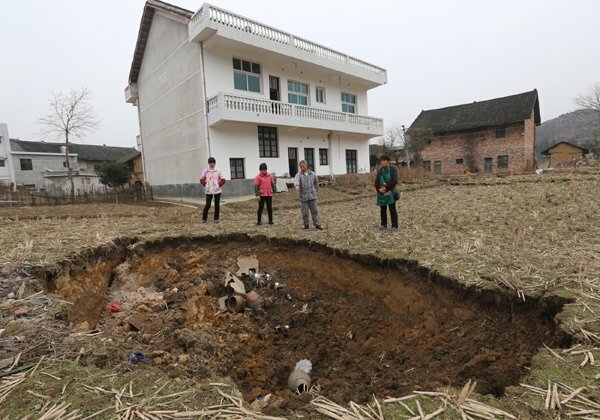 Moreover, they have swallowed houses and destroyed some others. 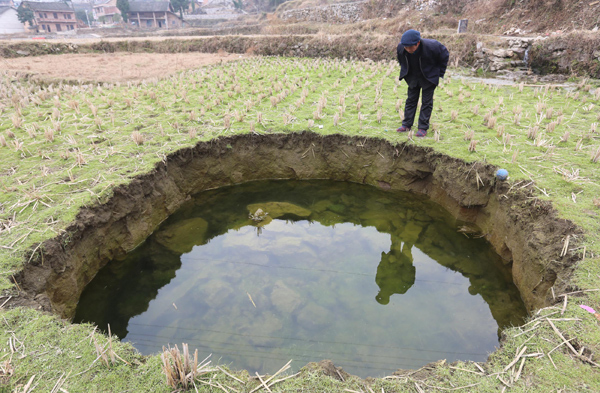 In numbers, these craters have destroyed five wells, infected the irrigation of of 33.3 hectares of farmland and cut off water supplies to nearly 4,000 villagers. 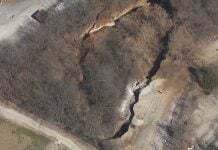 Inhabitants are living in fear as cracks and cave-ins can occur at any time anywhere. The local government said the over exploitation of coal in recent years is to blame and is making efforts to solve the problem. Moreover, compensations are offered to villagers. 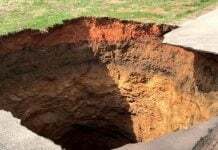 I hope this sinkhole apocalypse will be contained in the next months. 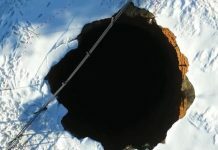 Have you ever heard about the Lake Peigneur sinkhole disaster? I believe you, I’ve figured this had something to do with the sun when it began. I’d like to discuss it with you, if you want man, share some ideas etc etc.